Third Row Seat, iPod/MP3 Input, Onboard Communications System, Keyless Start, Back-Up Camera, ENGINE: 3.5L TI-VCT V6 (FFV), EQUIPMENT GROUP 200A. 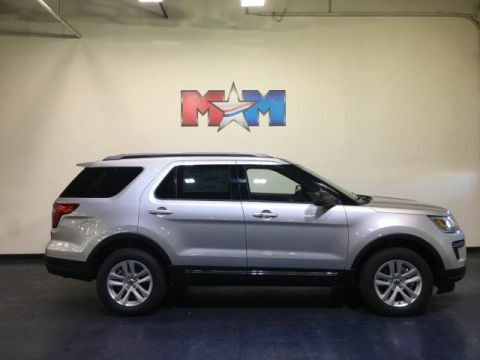 Ingot Silver Metallic exterior and Ebony Black w/Fire Orange interior, XLT trim AND MORE! KEY FEATURES INCLUDE Third Row Seat, 4x4, Rear Air, Back-Up Camera, iPod/MP3 Input, Onboard Communications System, Aluminum Wheels, Keyless Start. Rear Spoiler, MP3 Player, Satellite Radio, Keyless Entry, Privacy Glass. OPTION PACKAGES ENGINE: 3.5L TI-VCT V6 (FFV) Flexible Fuel Vehicle (FFV) system is standard equipment for vehicles w/the 3.5L Ti-VCT V6 engine shipped to Federal Emissions States or Cross Border State dealers and is only available w/a Federal emissions system, (FFV system not available w/code 422 and requires code 936 or 423 if applicable for California Emissions State dealer destinations).Cross border states include AZ, DC, ID, NH, NV, OH, VA, WV (STD), INGOT SILVER METALLIC, EQUIPMENT GROUP 200A, TRANSMISSION: 6-SPEED SELECTSHIFT AUTOMATIC (STD). Ford XLT with Ingot Silver Metallic exterior and Ebony Black w/Fire Orange interior features a V6 Cylinder Engine with 290 HP at 6500 RPM*. EXPERTS ARE SAYING Well-tuned electric steering system and natural assist level; it turns in with immediacy. Good heft at speed but light enough for parking-lot duty. -Edmunds.com. Approx. Original Base Sticker Price: $37,500*. BUY FROM AN AWARD WINNING DEALER At Shelor Motor Mile we have a price and payment to fit any budget. Our big selection means even bigger savings! Need extra spending money? Shelor wants your vehicle, and we're paying top dollar! Tax DMV Fees & $597 processing fee are not included in vehicle prices shown and must be paid by the purchaser. Vehicle information is based off standard equipment and may vary from vehicle to vehicle. Call or email for complete vehicle specific informatio Chevrolet Ford Chrysler Dodge Jeep & Ram prices include current factory rebates and incentives some of which may require financing through the manufacturer and/or the customer must own/trade a certain make of vehicle. Residency restrictions apply see dealer for details and restrictions. All pricing and details are believed to be accurate but we do not warrant or guarantee such accuracy. The prices shown above may vary from region to region as will incentives and are subject to change. 3rd Row Seat, Onboard Communications System, iPod/MP3 Input, Smart Device Integration, Keyless Start, ENGINE: 3.5L TI-VCT V6 (FFV), Rear Air. Ingot Silver Metallic exterior and Ebony Black w/Fire Orange interior, XLT trim. CLICK ME! KEY FEATURES INCLUDE Third Row Seat, 4x4, Rear Air, Back-Up Camera, iPod/MP3 Input, Onboard Communications System, Aluminum Wheels, Keyless Start, Smart Device Integration Rear Spoiler, MP3 Player, Satellite Radio, Keyless Entry, Privacy Glass. OPTION PACKAGES ENGINE: 3.5L TI-VCT V6 (FFV) Flexible Fuel Vehicle (FFV) system is standard equipment for vehicles w/the 3.5L Ti-VCT V6 engine shipped to Federal Emissions States or Cross Border State dealers and is only available w/a Federal emissions system, (FFV system not available w/code 422 and requires code 936 or 423 if applicable for California Emissions State dealer destinations).Cross border states include AZ, DC, ID, NH, NV, OH, VA, WV (STD), INGOT SILVER METALLIC, EQUIPMENT GROUP 200A, TRANSMISSION: 6-SPEED SELECTSHIFT AUTOMATIC (STD). Ford XLT with Ingot Silver Metallic exterior and Ebony Black w/Fire Orange interior features a V6 Cylinder Engine with 290 HP at 6500 RPM*. VEHICLE REVIEWS Edmunds.com's review says Well-tuned electric steering system and natural assist level; it turns in with immediacy. Good heft at speed but light enough for parking-lot duty.. Approx. Original Base Sticker Price: $37,500*. OUR OFFERINGS At Shelor Motor Mile we have a price and payment to fit any budget. Our big selection means even bigger savings! Need extra spending money? Shelor wants your vehicle, and we're paying top dollar! Tax DMV Fees & $597 processing fee are not included in vehicle prices shown and must be paid by the purchaser. Vehicle information is based off standard equipment and may vary from vehicle to vehicle. Call or email for complete vehicle specific informatio Chevrolet Ford Chrysler Dodge Jeep & Ram prices include current factory rebates and incentives some of which may require financing through the manufacturer and/or the customer must own/trade a certain make of vehicle. Residency restrictions apply see dealer for details and restrictions. All pricing and details are believed to be accurate but we do not warrant or guarantee such accuracy. The prices shown above may vary from region to region as will incentives and are subject to change. Third Row Seat, Onboard Communications System, iPod/MP3 Input, Smart Device Integration, Keyless Start, Back-Up Camera, ENGINE: 3.5L TI-VCT V6 (FFV), EQUIPMENT GROUP 200A. 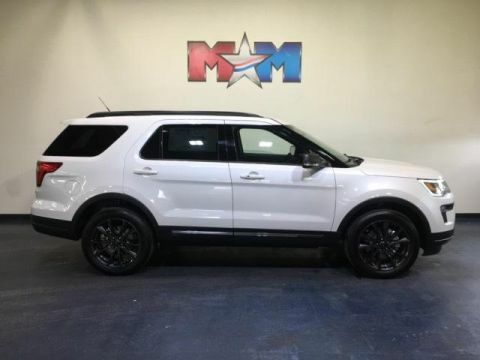 Oxford White exterior and Ebony Black interior, XLT trim CLICK ME! KEY FEATURES INCLUDE Third Row Seat, 4x4, Rear Air, Back-Up Camera, iPod/MP3 Input, Onboard Communications System, Aluminum Wheels, Keyless Start, Smart Device Integration. Rear Spoiler, MP3 Player, Satellite Radio, Keyless Entry, Privacy Glass. OPTION PACKAGES ENGINE: 3.5L TI-VCT V6 (FFV) Flexible Fuel Vehicle (FFV) system is standard equipment for vehicles w/the 3.5L Ti-VCT V6 engine shipped to Federal Emissions States or Cross Border State dealers and is only available w/a Federal emissions system, (FFV system not available w/code 422 and requires code 936 or 423 if applicable for California Emissions State dealer destinations).Cross border states include AZ, DC, ID, NH, NV, OH, VA, WV (STD), OXFORD WHITE, EQUIPMENT GROUP 200A, TRANSMISSION: 6-SPEED SELECTSHIFT AUTOMATIC (STD). Ford XLT with Oxford White exterior and Ebony Black interior features a V6 Cylinder Engine with 290 HP at 6500 RPM*. EXPERTS ARE SAYING Edmunds.com explains Well-tuned electric steering system and natural assist level; it turns in with immediacy. Good heft at speed but light enough for parking-lot duty.. Approx. Original Base Sticker Price: $37,500*. VISIT US TODAY At Shelor Motor Mile we have a price and payment to fit any budget. Our big selection means even bigger savings! Need extra spending money? Shelor wants your vehicle, and we're paying top dollar! Tax DMV Fees & $597 processing fee are not included in vehicle prices shown and must be paid by the purchaser. Vehicle information is based off standard equipment and may vary from vehicle to vehicle. Call or email for complete vehicle specific informatio Chevrolet Ford Chrysler Dodge Jeep & Ram prices include current factory rebates and incentives some of which may require financing through the manufacturer and/or the customer must own/trade a certain make of vehicle. Residency restrictions apply see dealer for details and restrictions. All pricing and details are believed to be accurate but we do not warrant or guarantee such accuracy. The prices shown above may vary from region to region as will incentives and are subject to change. 3rd Row Seat, Onboard Communications System, iPod/MP3 Input, Smart Device Integration, Keyless Start, Back-Up Camera, ENGINE: 2.3L I-4 ECOBOOST, OXFORD WHITE, Rear Air. XLT trim, Oxford White exterior and Ebony Black interior CLICK ME! KEY FEATURES INCLUDE Third Row Seat, 4x4, Rear Air, Back-Up Camera, iPod/MP3 Input, Onboard Communications System, Aluminum Wheels, Keyless Start, Smart Device Integration. Rear Spoiler, MP3 Player, Satellite Radio, Privacy Glass, Keyless Entry. OPTION PACKAGES ENGINE: 2.3L I-4 ECOBOOST, OXFORD WHITE, EQUIPMENT GROUP 200A, TRANSMISSION: 6-SPEED SELECTSHIFT AUTOMATIC (446). Ford XLT with Oxford White exterior and Ebony Black interior features a 4 Cylinder Engine with 280 HP at 5600 RPM*. EXPERTS REPORT Edmunds.com explains Well-tuned electric steering system and natural assist level; it turns in with immediacy. Good heft at speed but light enough for parking-lot duty.. Approx. Original Base Sticker Price: $38,400*. OUR OFFERINGS At Shelor Motor Mile we have a price and payment to fit any budget. Our big selection means even bigger savings! Need extra spending money? Shelor wants your vehicle, and we're paying top dollar! Tax DMV Fees & $597 processing fee are not included in vehicle prices shown and must be paid by the purchaser. Vehicle information is based off standard equipment and may vary from vehicle to vehicle. Call or email for complete vehicle specific informatio Chevrolet Ford Chrysler Dodge Jeep & Ram prices include current factory rebates and incentives some of which may require financing through the manufacturer and/or the customer must own/trade a certain make of vehicle. Residency restrictions apply see dealer for details and restrictions. All pricing and details are believed to be accurate but we do not warrant or guarantee such accuracy. The prices shown above may vary from region to region as will incentives and are subject to change. Third Row Seat, Onboard Communications System, iPod/MP3 Input, Smart Device Integration, Keyless Start, Back-Up Camera, ENGINE: 2.3L I-4 ECOBOOST, Rear Air. Agate Black Metallic exterior and Ebony Black interior, XLT trim. SEE MORE! KEY FEATURES INCLUDE Third Row Seat, 4x4, Rear Air, Back-Up Camera, iPod/MP3 Input, Onboard Communications System, Aluminum Wheels, Keyless Start, Smart Device Integration. Rear Spoiler, MP3 Player, Satellite Radio, Privacy Glass, Keyless Entry. OPTION PACKAGES ENGINE: 2.3L I-4 ECOBOOST, AGATE BLACK METALLIC, EQUIPMENT GROUP 200A, TRANSMISSION: 6-SPEED SELECTSHIFT AUTOMATIC (446). Ford XLT with Agate Black Metallic exterior and Ebony Black interior features a 4 Cylinder Engine with 280 HP at 5600 RPM*. VEHICLE REVIEWS Well-tuned electric steering system and natural assist level; it turns in with immediacy. Good heft at speed but light enough for parking-lot duty. -Edmunds.com. Approx. Original Base Sticker Price: $38,400*. OUR OFFERINGS At Shelor Motor Mile we have a price and payment to fit any budget. Our big selection means even bigger savings! Need extra spending money? Shelor wants your vehicle, and we're paying top dollar! Tax DMV Fees & $597 processing fee are not included in vehicle prices shown and must be paid by the purchaser. Vehicle information is based off standard equipment and may vary from vehicle to vehicle. Call or email for complete vehicle specific informatio Chevrolet Ford Chrysler Dodge Jeep & Ram prices include current factory rebates and incentives some of which may require financing through the manufacturer and/or the customer must own/trade a certain make of vehicle. Residency restrictions apply see dealer for details and restrictions. All pricing and details are believed to be accurate but we do not warrant or guarantee such accuracy. The prices shown above may vary from region to region as will incentives and are subject to change. Third Row Seat, Onboard Communications System, iPod/MP3 Input, Smart Device Integration, Keyless Start, ENGINE: 3.5L TI-VCT V6 (FFV), OXFORD WHITE, EQUIPMENT GROUP 200A. Oxford White exterior and Ebony Black interior, XLT trim. CLICK ME! KEY FEATURES INCLUDE Third Row Seat, 4x4, Rear Air, Back-Up Camera, iPod/MP3 Input, Onboard Communications System, Aluminum Wheels, Keyless Start, Smart Device Integration Rear Spoiler, MP3 Player, Satellite Radio, Keyless Entry, Privacy Glass. OPTION PACKAGES ENGINE: 3.5L TI-VCT V6 (FFV) Flexible Fuel Vehicle (FFV) system is standard equipment for vehicles w/the 3.5L Ti-VCT V6 engine shipped to Federal Emissions States or Cross Border State dealers and is only available w/a Federal emissions system, (FFV system not available w/code 422 and requires code 936 or 423 if applicable for California Emissions State dealer destinations).Cross border states include AZ, DC, ID, NH, NV, OH, VA, WV (STD), OXFORD WHITE, EQUIPMENT GROUP 200A, TRANSMISSION: 6-SPEED SELECTSHIFT AUTOMATIC (STD). Ford XLT with Oxford White exterior and Ebony Black interior features a V6 Cylinder Engine with 290 HP at 6500 RPM*. EXPERTS CONCLUDE Edmunds.com explains Well-tuned electric steering system and natural assist level; it turns in with immediacy. Good heft at speed but light enough for parking-lot duty.. Approx. Original Base Sticker Price: $37,600*. MORE ABOUT US At Shelor Motor Mile we have a price and payment to fit any budget. Our big selection means even bigger savings! Need extra spending money? Shelor wants your vehicle, and we're paying top dollar! Tax DMV Fees & $597 processing fee are not included in vehicle prices shown and must be paid by the purchaser. Vehicle information is based off standard equipment and may vary from vehicle to vehicle. Call or email for complete vehicle specific informatio Chevrolet Ford Chrysler Dodge Jeep & Ram prices include current factory rebates and incentives some of which may require financing through the manufacturer and/or the customer must own/trade a certain make of vehicle. Residency restrictions apply see dealer for details and restrictions. All pricing and details are believed to be accurate but we do not warrant or guarantee such accuracy. The prices shown above may vary from region to region as will incentives and are subject to change. 3rd Row Seat, Onboard Communications System, iPod/MP3 Input, Smart Device Integration, Keyless Start, ENGINE: 3.5L TI-VCT V6 (FFV), AGATE BLACK METALLIC. Agate Black Metallic exterior and Ebony Black interior, XLT trim. READ MORE! KEY FEATURES INCLUDE Third Row Seat, 4x4, Rear Air, Back-Up Camera, iPod/MP3 Input, Onboard Communications System, Aluminum Wheels, Keyless Start, Smart Device Integration Rear Spoiler, MP3 Player, Satellite Radio, Keyless Entry, Privacy Glass. OPTION PACKAGES ENGINE: 3.5L TI-VCT V6 (FFV) Flexible Fuel Vehicle (FFV) system is standard equipment for vehicles w/the 3.5L Ti-VCT V6 engine shipped to Federal Emissions States or Cross Border State dealers and is only available w/a Federal emissions system, (FFV system not available w/code 422 and requires code 936 or 423 if applicable for California Emissions State dealer destinations).Cross border states include AZ, DC, ID, NH, NV, OH, VA, WV (STD), AGATE BLACK METALLIC, EQUIPMENT GROUP 200A, TRANSMISSION: 6-SPEED SELECTSHIFT AUTOMATIC (STD). Ford XLT with Agate Black Metallic exterior and Ebony Black interior features a V6 Cylinder Engine with 290 HP at 6500 RPM*. EXPERTS RAVE Edmunds.com's review says Well-tuned electric steering system and natural assist level; it turns in with immediacy. Good heft at speed but light enough for parking-lot duty.. Approx. Original Base Sticker Price: $37,600*. MORE ABOUT US At Shelor Motor Mile we have a price and payment to fit any budget. Our big selection means even bigger savings! Need extra spending money? Shelor wants your vehicle, and we're paying top dollar! Tax DMV Fees & $597 processing fee are not included in vehicle prices shown and must be paid by the purchaser. Vehicle information is based off standard equipment and may vary from vehicle to vehicle. Call or email for complete vehicle specific informatio Chevrolet Ford Chrysler Dodge Jeep & Ram prices include current factory rebates and incentives some of which may require financing through the manufacturer and/or the customer must own/trade a certain make of vehicle. Residency restrictions apply see dealer for details and restrictions. All pricing and details are believed to be accurate but we do not warrant or guarantee such accuracy. The prices shown above may vary from region to region as will incentives and are subject to change. 3rd Row Seat, Onboard Communications System, iPod/MP3 Input, Smart Device Integration, Keyless Start, ENGINE: 3.5L TI-VCT V6 (FFV), AGATE BLACK METALLIC. Agate Black Metallic exterior and Ebony Black interior, XLT trim. AND MORE! KEY FEATURES INCLUDE Third Row Seat, 4x4, Rear Air, Back-Up Camera, iPod/MP3 Input, Onboard Communications System, Aluminum Wheels, Keyless Start, Smart Device Integration. Rear Spoiler, MP3 Player, Satellite Radio, Keyless Entry, Privacy Glass. OPTION PACKAGES ENGINE: 3.5L TI-VCT V6 (FFV) Flexible Fuel Vehicle (FFV) system is standard equipment for vehicles w/the 3.5L Ti-VCT V6 engine shipped to Federal Emissions States or Cross Border State dealers and is only available w/a Federal emissions system, (FFV system not available w/code 422 and requires code 936 or 423 if applicable for California Emissions State dealer destinations).Cross border states include AZ, DC, ID, NH, NV, OH, VA, WV (STD), AGATE BLACK METALLIC, EQUIPMENT GROUP 200A, TRANSMISSION: 6-SPEED SELECTSHIFT AUTOMATIC (STD). Ford XLT with Agate Black Metallic exterior and Ebony Black interior features a V6 Cylinder Engine with 290 HP at 6500 RPM*. VEHICLE REVIEWS Well-tuned electric steering system and natural assist level; it turns in with immediacy. Good heft at speed but light enough for parking-lot duty. -Edmunds.com. Approx. Original Base Sticker Price: $37,600*. WHO WE ARE At Shelor Motor Mile we have a price and payment to fit any budget. Our big selection means even bigger savings! Need extra spending money? Shelor wants your vehicle, and we're paying top dollar! Tax DMV Fees & $597 processing fee are not included in vehicle prices shown and must be paid by the purchaser. Vehicle information is based off standard equipment and may vary from vehicle to vehicle. Call or email for complete vehicle specific informatio Chevrolet Ford Chrysler Dodge Jeep & Ram prices include current factory rebates and incentives some of which may require financing through the manufacturer and/or the customer must own/trade a certain make of vehicle. Residency restrictions apply see dealer for details and restrictions. All pricing and details are believed to be accurate but we do not warrant or guarantee such accuracy. The prices shown above may vary from region to region as will incentives and are subject to change. Third Row Seat, iPod/MP3 Input, Back-Up Camera, Onboard Communications System, Smart Device Integration, Keyless Start, CLASS III TRAILER TOW PACKAGE. 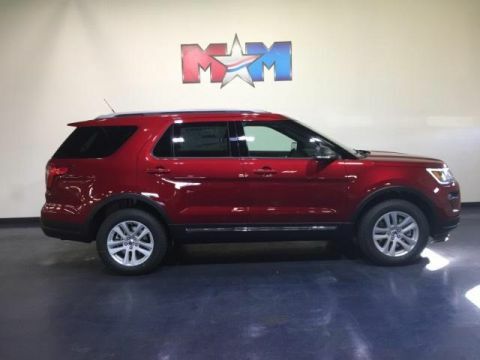 XLT trim, Ruby Red Metallic Tinted Clearcoat exterior and Ebony Black interior. CLICK ME! KEY FEATURES INCLUDE Third Row Seat, 4x4, Rear Air, Back-Up Camera, iPod/MP3 Input, Onboard Communications System, Aluminum Wheels, Keyless Start, Smart Device Integration. Rear Spoiler, MP3 Player, Satellite Radio, Keyless Entry, Privacy Glass. OPTION PACKAGES CLASS III TRAILER TOW PACKAGE, RUBY RED METALLIC TINTED CLEARCOAT, EQUIPMENT GROUP 200A, ENGINE: 3.5L TI-VCT V6 (FFV) Flexible Fuel Vehicle (FFV) system is standard equipment for vehicles w/the 3.5L Ti-VCT V6 engine shipped to Federal Emissions States or Cross Border State dealers and is only available w/a Federal emissions system, (FFV system not available w/code 422 and requires code 936 or 423 if applicable for California Emissions State dealer destinations).Cross border states include AZ, DC, ID, NH, NV, OH, VA, WV (STD), TRANSMISSION: 6-SPEED SELECTSHIFT AUTOMATIC (44C). Ford XLT with Ruby Red Metallic Tinted Clearcoat exterior and Ebony Black interior features a V6 Cylinder Engine with 290 HP at 6500 RPM*. EXPERTS CONCLUDE Well-tuned electric steering system and natural assist level; it turns in with immediacy. Good heft at speed but light enough for parking-lot duty. -Edmunds.com. Approx. Original Base Sticker Price: $38,500*. WHO WE ARE At Shelor Motor Mile we have a price and payment to fit any budget. Our big selection means even bigger savings! Need extra spending money? Shelor wants your vehicle, and we're paying top dollar! Tax DMV Fees & $597 processing fee are not included in vehicle prices shown and must be paid by the purchaser. Vehicle information is based off standard equipment and may vary from vehicle to vehicle. Call or email for complete vehicle specific informatio Chevrolet Ford Chrysler Dodge Jeep & Ram prices include current factory rebates and incentives some of which may require financing through the manufacturer and/or the customer must own/trade a certain make of vehicle. Residency restrictions apply see dealer for details and restrictions. All pricing and details are believed to be accurate but we do not warrant or guarantee such accuracy. The prices shown above may vary from region to region as will incentives and are subject to change. 3rd Row Seat, Onboard Communications System, iPod/MP3 Input, Smart Device Integration, Keyless Start, Back-Up Camera, ENGINE: 2.3L I-4 ECOBOOST, MAGNETIC METALLIC. Magnetic Metallic exterior and Ebony Black interior, XLT trim. SEE MORE! KEY FEATURES INCLUDE Third Row Seat, 4x4, Rear Air, Back-Up Camera, iPod/MP3 Input, Onboard Communications System, Aluminum Wheels, Keyless Start, Smart Device Integration. Rear Spoiler, MP3 Player, Satellite Radio, Privacy Glass, Keyless Entry. OPTION PACKAGES ENGINE: 2.3L I-4 ECOBOOST, MAGNETIC METALLIC, EQUIPMENT GROUP 200A, TRANSMISSION: 6-SPEED SELECTSHIFT AUTOMATIC (446). 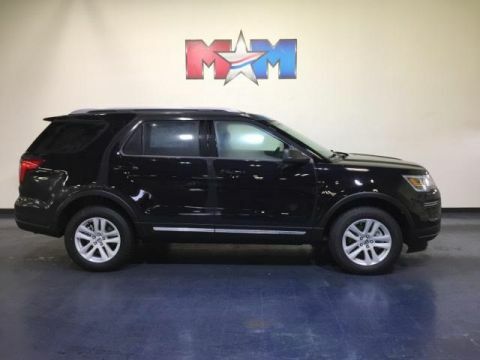 Ford XLT with Magnetic Metallic exterior and Ebony Black interior features a 4 Cylinder Engine with 280 HP at 5600 RPM*. EXPERTS ARE SAYING Edmunds.com explains Well-tuned electric steering system and natural assist level; it turns in with immediacy. Good heft at speed but light enough for parking-lot duty.. Approx. Original Base Sticker Price: $38,400*. WHY BUY FROM US At Shelor Motor Mile we have a price and payment to fit any budget. Our big selection means even bigger savings! Need extra spending money? Shelor wants your vehicle, and we're paying top dollar! Tax DMV Fees & $597 processing fee are not included in vehicle prices shown and must be paid by the purchaser. Vehicle information is based off standard equipment and may vary from vehicle to vehicle. Call or email for complete vehicle specific informatio Chevrolet Ford Chrysler Dodge Jeep & Ram prices include current factory rebates and incentives some of which may require financing through the manufacturer and/or the customer must own/trade a certain make of vehicle. Residency restrictions apply see dealer for details and restrictions. All pricing and details are believed to be accurate but we do not warrant or guarantee such accuracy. The prices shown above may vary from region to region as will incentives and are subject to change. Third Row Seat, Back-Up Camera, Rear Air, iPod/MP3 Input, Keyless Start, Onboard Communications System, CLASS II TRAILER TOW PACKAGE, 4x4, Hitch. 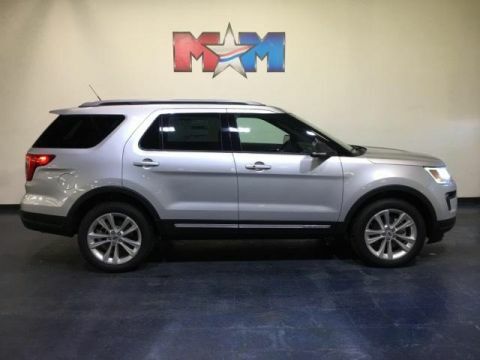 White Platinum Metallic Tri-Coat exterior and Ebony Black interior, XLT trim CLICK NOW! KEY FEATURES INCLUDE Third Row Seat, 4x4, Rear Air, Back-Up Camera, iPod/MP3 Input, Onboard Communications System, Aluminum Wheels, Keyless Start, Smart Device Integration. Rear Spoiler, MP3 Player, Satellite Radio, Privacy Glass, Keyless Entry. 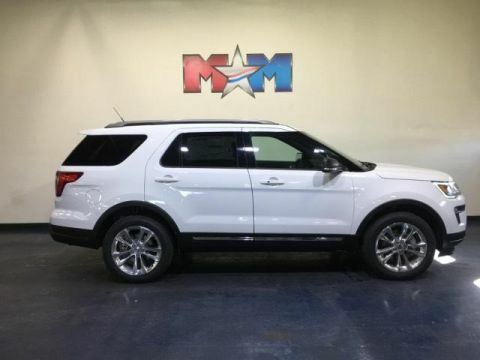 OPTION PACKAGES ENGINE: 2.3L I-4 ECOBOOST, WHITE PLATINUM METALLIC TRI-COAT, CLASS II TRAILER TOW PACKAGE, EQUIPMENT GROUP 200A, TRANSMISSION: 6-SPEED SELECTSHIFT AUTOMATIC (446). Ford XLT with White Platinum Metallic Tri-Coat exterior and Ebony Black interior features a 4 Cylinder Engine with 280 HP at 5600 RPM*. EXPERTS REPORT Well-tuned electric steering system and natural assist level; it turns in with immediacy. Good heft at speed but light enough for parking-lot duty. -Edmunds.com. Approx. Original Base Sticker Price: $39,400*. VISIT US TODAY At Shelor Motor Mile we have a price and payment to fit any budget. Our big selection means even bigger savings! Need extra spending money? Shelor wants your vehicle, and we're paying top dollar! Tax DMV Fees & $597 processing fee are not included in vehicle prices shown and must be paid by the purchaser. Vehicle information is based off standard equipment and may vary from vehicle to vehicle. Call or email for complete vehicle specific informatio Chevrolet Ford Chrysler Dodge Jeep & Ram prices include current factory rebates and incentives some of which may require financing through the manufacturer and/or the customer must own/trade a certain make of vehicle. Residency restrictions apply see dealer for details and restrictions. All pricing and details are believed to be accurate but we do not warrant or guarantee such accuracy. The prices shown above may vary from region to region as will incentives and are subject to change. 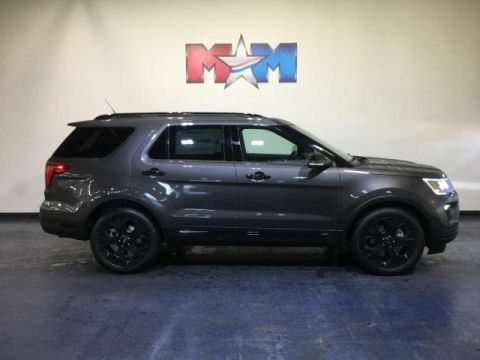 3rd Row Seat, Rear Air, Back-Up Camera, ENGINE: 3.5L TI-VCT V6 (FFV), EQUIPMENT GROUP 201A, TRANSMISSION: 6-SPEED SELECTSHIFT AUT... 4x4, Alloy Wheels. Magnetic Metallic exterior and Ebony Black interior, XLT trim. CLICK NOW! KEY FEATURES INCLUDE Third Row Seat, 4x4, Rear Air, Back-Up Camera, Aluminum Wheels. Rear Spoiler, Privacy Glass, Keyless Entry, Steering Wheel Controls, Child Safety Locks. OPTION PACKAGES EQUIPMENT GROUP 201A 8-Way Power Passenger Seat, power lumbar and manual recline, LED Fog Lamps, Power Liftgate, Power & Heated Glass Sideview Mirrors, manual-folding, LED turn signal indicators, security approach lamps and black molded in-color caps, BLIS (Blind Spot Information System), cross-traffic alert, Note: replaces standard integrated blind spot mirrors feature, Driver Connect Package, Auto-Dimming Rearview Mirror, FordPass Connect, 4G LTE Wi-Fi hotspot connects up to 10 devices (includes a complimentary trial subscription of 3 months or 3 gigabytes, whichever comes first, Wireless Service Plan required after trial subscription ends, Visit att.com/ford to start complimentary trial and sign up for a Wireless Service Plan), remotely start, lock and unlock vehicle (includes service, MAGNETIC METALLIC, ENGINE: 3.5L TI-VCT V6 (FFV) Flexible Fuel Vehicle (FFV) system is standard equipment for vehicles w/the 3.5L Ti-VCT V6 engine shipped to Federal Emissions States or Cross Border State dealers and is only available w/a Federal emissions system, (FFV system not available w/code 422 and requires code 936 or 423 if applicable for California Emissions State dealer destinations).Cross border states include AZ, DC, ID, NH, NV, OH, VA, WV (STD), TRANSMISSION: 6-SPEED SELECTSHIFT AUTOMATIC (STD). Tax DMV Fees & $597 processing fee are not included in vehicle prices shown and must be paid by the purchaser. Vehicle information is based off standard equipment and may vary from vehicle to vehicle. Call or email for complete vehicle specific informatio Chevrolet Ford Chrysler Dodge Jeep & Ram prices include current factory rebates and incentives some of which may require financing through the manufacturer and/or the customer must own/trade a certain make of vehicle. Residency restrictions apply see dealer for details and restrictions. All pricing and details are believed to be accurate but we do not warrant or guarantee such accuracy. The prices shown above may vary from region to region as will incentives and are subject to change. 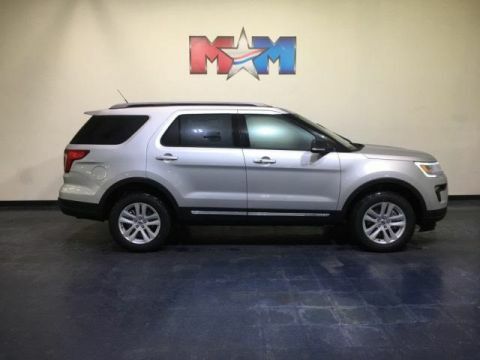 Third Row Seat, Nav System, Heated Seats, Rear Air, Back-Up Camera, 4x4, XLT TECHNOLOGY FEATURE BUNDLE, EQUIPMENT GROUP 201A, COLD WEATHER PACKAGE. XLT trim, Ingot Silver Metallic exterior and Ebony Black w/Fire Orange interior. CLICK ME! 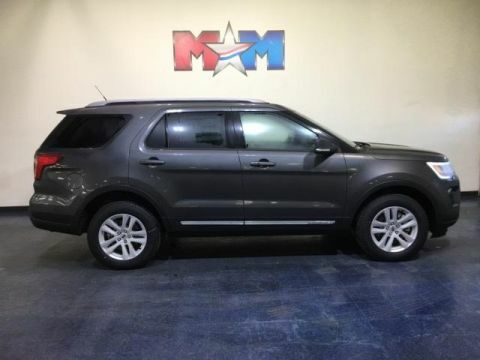 KEY FEATURES INCLUDE Third Row Seat, 4x4, Rear Air, Back-Up Camera, Aluminum Wheels Rear Spoiler, Privacy Glass, Keyless Entry, Steering Wheel Controls, Child Safety Locks. OPTION PACKAGES EQUIPMENT GROUP 201A 8-Way Power Passenger Seat, power lumbar and manual recline, LED Fog Lamps, Power Liftgate, Power & Heated Glass Sideview Mirrors, manual-folding, LED turn signal indicators, security approach lamps and black molded in-color caps, BLIS (Blind Spot Information System), cross-traffic alert, Note: replaces standard integrated blind spot mirrors feature, Driver Connect Package, Auto-Dimming Rearview Mirror, FordPass Connect, 4G LTE Wi-Fi hotspot connects up to 10 devices (includes a complimentary trial subscription of 3 months or 3 gigabytes, whichever comes first, Wireless Service Plan required after trial subscription ends, Visit att.com/ford to start complimentary trial and sign up for a Wireless Service Plan), remotely start, lock and unlock vehicle (includes service, XLT TECHNOLOGY FEATURE BUNDLE Universal Garage Door Opener (UGDO), Voice-Activated Touchscreen Navigation System, pinch-to-zoom capability, SiriusXM Traffic and Travel Link, Note: SiriusXM Traffic and Travel Link includes a 5-year prepaid subscription, Service not available in Alaska or Hawaii, SiriusXM audio and data services each require a subscription sold separately, or as a package, by Sirius XM Radio Inc, If you decide to continue service after your trial Tax DMV Fees & $597 processing fee are not included in vehicle prices shown and must be paid by the purchaser. Vehicle information is based off standard equipment and may vary from vehicle to vehicle. Call or email for complete vehicle specific informatio Chevrolet Ford Chrysler Dodge Jeep & Ram prices include current factory rebates and incentives some of which may require financing through the manufacturer and/or the customer must own/trade a certain make of vehicle. Residency restrictions apply see dealer for details and restrictions. All pricing and details are believed to be accurate but we do not warrant or guarantee such accuracy. The prices shown above may vary from region to region as will incentives and are subject to change. Third Row Seat, Heated Seats, 4x4, Back-Up Camera, Rear Air, Aluminum Wheels, TRANSMISSION: 6-SPEED SELECTSHIFT AUT... Hitch. Burgundy Velvet Metallic Tinted Clearcoat exterior and Ebony Black w/Fire Orange interior, XLT trim. SEE MORE! KEY FEATURES INCLUDE Third Row Seat, 4x4, Rear Air, Back-Up Camera, Aluminum Wheels. Rear Spoiler, Privacy Glass, Keyless Entry, Steering Wheel Controls, Child Safety Locks. OPTION PACKAGES EQUIPMENT GROUP 201A 8-Way Power Passenger Seat, power lumbar and manual recline, LED Fog Lamps, Power Liftgate, Power & Heated Glass Sideview Mirrors, manual-folding, LED turn signal indicators, security approach lamps and black molded in-color caps, BLIS (Blind Spot Information System), cross-traffic alert, Note: replaces standard integrated blind spot mirrors feature, Driver Connect Package, Auto-Dimming Rearview Mirror, FordPass Connect, 4G LTE Wi-Fi hotspot connects up to 10 devices (includes a complimentary trial subscription of 3 months or 3 gigabytes, whichever comes first, Wireless Service Plan required after trial subscription ends, Visit att.com/ford to start complimentary trial and sign up for a Wireless Service Plan), remotely start, lock and unlock vehicle (includes service, COLD WEATHER PACKAGE Heated Front Seats, Heated Steering Wheel, Forward Sensing System, CLASS III TRAILER TOW PACKAGE, BURGUNDY VELVET METALLIC TINTED CLEARCOAT, FRONT & SECOND ROW FLOOR LINERS, TRANSMISSION: 6-SPEED SELECTSHIFT AUTOMATIC (44C), ENGINE: 3.5L TI-VCT V6 (FFV) Flexible Fuel Vehicle (FFV) system is standard equipment for vehicles w/the 3.5L Ti-VCT V6 engine shipped to Federal Emissions States or Cross Border State dealers and is only available w/a Federal emissions system Tax DMV Fees & $597 processing fee are not included in vehicle prices shown and must be paid by the purchaser. Vehicle information is based off standard equipment and may vary from vehicle to vehicle. Call or email for complete vehicle specific informatio Chevrolet Ford Chrysler Dodge Jeep & Ram prices include current factory rebates and incentives some of which may require financing through the manufacturer and/or the customer must own/trade a certain make of vehicle. Residency restrictions apply see dealer for details and restrictions. All pricing and details are believed to be accurate but we do not warrant or guarantee such accuracy. The prices shown above may vary from region to region as will incentives and are subject to change. 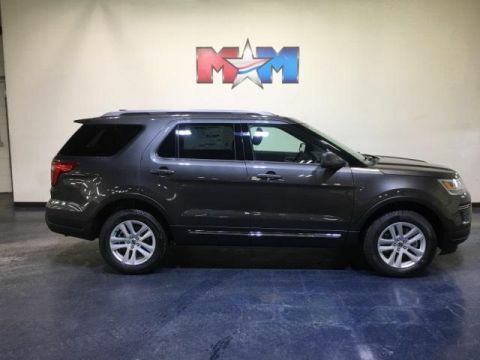 3rd Row Seat, NAV, 4x4, Rear Air, Back-Up Camera, XLT TECHNOLOGY FEATURE BUNDLE, EQUIPMENT GROUP 201A, TRANSMISSION: 6-SPEED SELECTSHIFT AUT... Turbo. XLT trim, Blue Metallic exterior and Ebony Black w/Fire Orange interior. AND MORE! 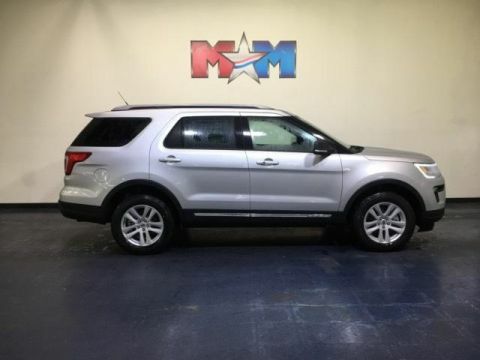 KEY FEATURES INCLUDE Third Row Seat, 4x4, Rear Air, Back-Up Camera, Aluminum Wheels Rear Spoiler, Privacy Glass, Keyless Entry, Steering Wheel Controls, Child Safety Locks. OPTION PACKAGES EQUIPMENT GROUP 201A 8-Way Power Passenger Seat, power lumbar and manual recline, LED Fog Lamps, Power Liftgate, Power & Heated Glass Sideview Mirrors, manual-folding, LED turn signal indicators, security approach lamps and black molded in-color caps, BLIS (Blind Spot Information System), cross-traffic alert, Note: replaces standard integrated blind spot mirrors feature, Driver Connect Package, Auto-Dimming Rearview Mirror, FordPass Connect, 4G LTE Wi-Fi hotspot connects up to 10 devices (includes a complimentary trial subscription of 3 months or 3 gigabytes, whichever comes first, Wireless Service Plan required after trial subscription ends, Visit att.com/ford to start complimentary trial and sign up for a Wireless Service Plan), remotely start, lock and unlock vehicle (includes service, XLT TECHNOLOGY FEATURE BUNDLE Universal Garage Door Opener (UGDO), Voice-Activated Touchscreen Navigation System, pinch-to-zoom capability, SiriusXM Traffic and Travel Link, Note: SiriusXM Traffic and Travel Link includes a 5-year prepaid subscription, Service not available in Alaska or Hawaii, SiriusXM audio and data services each require a subscription sold separately, or as a package, by Sirius XM Radio Inc, If you decide to continue service after your trial Tax DMV Fees & $597 processing fee are not included in vehicle prices shown and must be paid by the purchaser. Vehicle information is based off standard equipment and may vary from vehicle to vehicle. Call or email for complete vehicle specific informatio Chevrolet Ford Chrysler Dodge Jeep & Ram prices include current factory rebates and incentives some of which may require financing through the manufacturer and/or the customer must own/trade a certain make of vehicle. Residency restrictions apply see dealer for details and restrictions. All pricing and details are believed to be accurate but we do not warrant or guarantee such accuracy. The prices shown above may vary from region to region as will incentives and are subject to change. 3rd Row Seat, NAV, 4x4, Rear Air, Back-Up Camera, XLT TECHNOLOGY FEATURE BUNDLE, EQUIPMENT GROUP 201A, TRANSMISSION: 6-SPEED SELECTSHIFT AUT... Turbo. XLT trim, Blue Metallic exterior and Ebony Black w/Fire Orange interior CLICK ME! 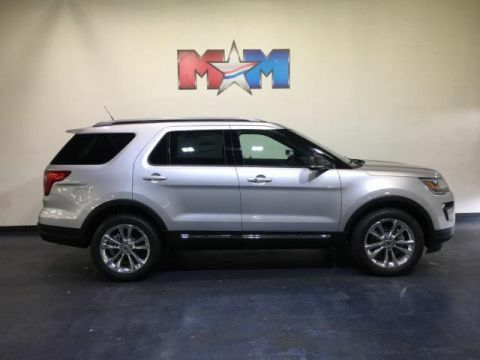 KEY FEATURES INCLUDE Third Row Seat, 4x4, Rear Air, Back-Up Camera, Aluminum Wheels Rear Spoiler, Privacy Glass, Keyless Entry, Steering Wheel Controls, Child Safety Locks. OPTION PACKAGES EQUIPMENT GROUP 201A 8-Way Power Passenger Seat, power lumbar and manual recline, LED Fog Lamps, Power Liftgate, Power & Heated Glass Sideview Mirrors, manual-folding, LED turn signal indicators, security approach lamps and black molded in-color caps, BLIS (Blind Spot Information System), cross-traffic alert, Note: replaces standard integrated blind spot mirrors feature, Driver Connect Package, Auto-Dimming Rearview Mirror, FordPass Connect, 4G LTE Wi-Fi hotspot connects up to 10 devices (includes a complimentary trial subscription of 3 months or 3 gigabytes, whichever comes first, Wireless Service Plan required after trial subscription ends, Visit att.com/ford to start complimentary trial and sign up for a Wireless Service Plan), remotely start, lock and unlock vehicle (includes service, XLT TECHNOLOGY FEATURE BUNDLE Universal Garage Door Opener (UGDO), Voice-Activated Touchscreen Navigation System, pinch-to-zoom capability, SiriusXM Traffic and Travel Link, Note: SiriusXM Traffic and Travel Link includes a 5-year prepaid subscription, Service not available in Alaska or Hawaii, SiriusXM audio and data services each require a subscription sold separately, or as a package, by Sirius XM Radio Inc, If you decide to continue service after your trial Tax DMV Fees & $597 processing fee are not included in vehicle prices shown and must be paid by the purchaser. Vehicle information is based off standard equipment and may vary from vehicle to vehicle. Call or email for complete vehicle specific informatio Chevrolet Ford Chrysler Dodge Jeep & Ram prices include current factory rebates and incentives some of which may require financing through the manufacturer and/or the customer must own/trade a certain make of vehicle. Residency restrictions apply see dealer for details and restrictions. All pricing and details are believed to be accurate but we do not warrant or guarantee such accuracy. The prices shown above may vary from region to region as will incentives and are subject to change. Third Row Seat, Nav System, 4x4, Turbo Charged Engine, Back-Up Camera, Rear Air, CLASS II TRAILER TOW PACKAGE, XLT TECHNOLOGY FEATURE BUNDLE. 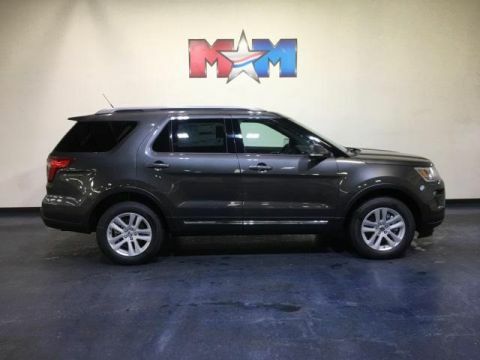 Ingot Silver Metallic exterior and Ebony Black w/Fire Orange interior, XLT trim CLICK NOW! KEY FEATURES INCLUDE Third Row Seat, 4x4, Rear Air, Back-Up Camera, Aluminum Wheels. Rear Spoiler, Privacy Glass, Keyless Entry, Child Safety Locks, Steering Wheel Controls. OPTION PACKAGES EQUIPMENT GROUP 201A 8-Way Power Passenger Seat, power lumbar and manual recline, LED Fog Lamps, Power Liftgate, Power & Heated Glass Sideview Mirrors, manual-folding, LED turn signal indicators, security approach lamps and black molded in-color caps, BLIS (Blind Spot Information System), cross-traffic alert, Note: replaces standard integrated blind spot mirrors feature, Driver Connect Package, Auto-Dimming Rearview Mirror, FordPass Connect, 4G LTE Wi-Fi hotspot connects up to 10 devices (includes a complimentary trial subscription of 3 months or 3 gigabytes, whichever comes first, Wireless Service Plan required after trial subscription ends, Visit att.com/ford to start complimentary trial and sign up for a Wireless Service Plan), remotely start, lock and unlock vehicle (includes service, XLT TECHNOLOGY FEATURE BUNDLE Universal Garage Door Opener (UGDO), Voice-Activated Touchscreen Navigation System, pinch-to-zoom capability, SiriusXM Traffic and Travel Link, Note: SiriusXM Traffic and Travel Link includes a 5-year prepaid subscription, Service not available in Alaska or Hawaii, SiriusXM audio and data services each require a subscription sold separately, or as a package, by Sirius XM Radio Inc, If you decide to continue service after your trial Tax DMV Fees & $597 processing fee are not included in vehicle prices shown and must be paid by the purchaser. Vehicle information is based off standard equipment and may vary from vehicle to vehicle. Call or email for complete vehicle specific informatio Chevrolet Ford Chrysler Dodge Jeep & Ram prices include current factory rebates and incentives some of which may require financing through the manufacturer and/or the customer must own/trade a certain make of vehicle. Residency restrictions apply see dealer for details and restrictions. All pricing and details are believed to be accurate but we do not warrant or guarantee such accuracy. The prices shown above may vary from region to region as will incentives and are subject to change. Heated Seats, Nav System, Third Row Seat, Rear Air, Back-Up Camera, 4x4, WHEELS: 20 POLISHED ALUMINUM, EQUIPMENT GROUP 201A. Ingot Silver Metallic exterior and Ebony Black w/Fire Orange interior, XLT trim. CLICK NOW! 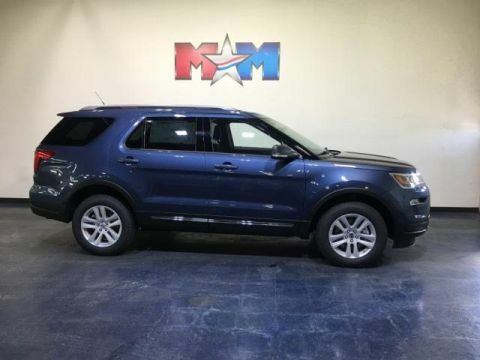 KEY FEATURES INCLUDE Third Row Seat, 4x4, Rear Air, Back-Up Camera Rear Spoiler, Keyless Entry, Privacy Glass, Steering Wheel Controls, Child Safety Locks. OPTION PACKAGES EQUIPMENT GROUP 201A 8-Way Power Passenger Seat, power lumbar and manual recline, LED Fog Lamps, Power Liftgate, Power & Heated Glass Sideview Mirrors, manual-folding, LED turn signal indicators, security approach lamps and black molded in-color caps, BLIS (Blind Spot Information System), cross-traffic alert, Note: replaces standard integrated blind spot mirrors feature, Driver Connect Package, Auto-Dimming Rearview Mirror, FordPass Connect, 4G LTE Wi-Fi hotspot connects up to 10 devices (includes a complimentary trial subscription of 3 months or 3 gigabytes, whichever comes first, Wireless Service Plan required after trial subscription ends, Visit att.com/ford to start complimentary trial and sign up for a Wireless Service Plan), remotely start, lock and unlock vehicle (includes service, WHEELS: 20 POLISHED ALUMINUM Tires: P255/50R20 AS BSW, XLT TECHNOLOGY FEATURE BUNDLE Universal Garage Door Opener (UGDO), Voice-Activated Touchscreen Navigation System, pinch-to-zoom capability, SiriusXM Traffic and Travel Link, Note: SiriusXM Traffic and Travel Link includes a 5-year prepaid subscription, Service not available in Alaska or Hawaii, SiriusXM audio and data services each require a subscription sold separately, or as a package, by Sirius XM Radio Inc, If you decide to continue service after your trial Tax DMV Fees & $597 processing fee are not included in vehicle prices shown and must be paid by the purchaser. Vehicle information is based off standard equipment and may vary from vehicle to vehicle. Call or email for complete vehicle specific informatio Chevrolet Ford Chrysler Dodge Jeep & Ram prices include current factory rebates and incentives some of which may require financing through the manufacturer and/or the customer must own/trade a certain make of vehicle. Residency restrictions apply see dealer for details and restrictions. All pricing and details are believed to be accurate but we do not warrant or guarantee such accuracy. The prices shown above may vary from region to region as will incentives and are subject to change. NAV, Sunroof, 3rd Row Seat, TRANSMISSION: 6-SPEED SELECTSHIFT AUT... Back-Up Camera, EQUIPMENT GROUP 201A, TWIN PANEL MOONROOF, Rear Air, BLUE METALLIC. Blue Metallic exterior and Ebony Black w/Fire Orange interior, XLT trim. CLICK NOW! KEY FEATURES INCLUDE Third Row Seat, 4x4, Rear Air, Back-Up Camera. Rear Spoiler, Privacy Glass, Keyless Entry, Child Safety Locks, Steering Wheel Controls. OPTION PACKAGES EQUIPMENT GROUP 201A 8-Way Power Passenger Seat, power lumbar and manual recline, LED Fog Lamps, Power Liftgate, Power & Heated Glass Sideview Mirrors, manual-folding, LED turn signal indicators, security approach lamps and black molded in-color caps, BLIS (Blind Spot Information System), cross-traffic alert, Note: replaces standard integrated blind spot mirrors feature, Driver Connect Package, Auto-Dimming Rearview Mirror, FordPass Connect, 4G LTE Wi-Fi hotspot connects up to 10 devices (includes a complimentary trial subscription of 3 months or 3 gigabytes, whichever comes first, Wireless Service Plan required after trial subscription ends, Visit att.com/ford to start complimentary trial and sign up for a Wireless Service Plan), remotely start, lock and unlock vehicle (includes service, TWIN PANEL MOONROOF, WHEELS: 20 POLISHED ALUMINUM Tires: P255/50R20 AS BSW, XLT TECHNOLOGY FEATURE BUNDLE Universal Garage Door Opener (UGDO), Voice-Activated Touchscreen Navigation System, pinch-to-zoom capability, SiriusXM Traffic and Travel Link, Note: SiriusXM Traffic and Travel Link includes a 5-year prepaid subscription, Service not available in Alaska or Hawaii, SiriusXM audio and data services each require a subscription sold separately, or as a package, by Sirius XM Radio Inc Tax DMV Fees & $597 processing fee are not included in vehicle prices shown and must be paid by the purchaser. Vehicle information is based off standard equipment and may vary from vehicle to vehicle. Call or email for complete vehicle specific informatio Chevrolet Ford Chrysler Dodge Jeep & Ram prices include current factory rebates and incentives some of which may require financing through the manufacturer and/or the customer must own/trade a certain make of vehicle. Residency restrictions apply see dealer for details and restrictions. All pricing and details are believed to be accurate but we do not warrant or guarantee such accuracy. The prices shown above may vary from region to region as will incentives and are subject to change. 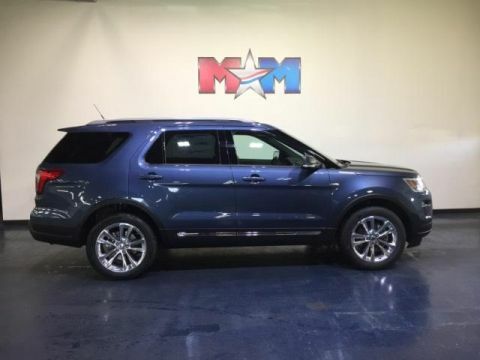 Third Row Seat, Moonroof, Navigation, 4x4, Rear Air, Back-Up Camera, TRANSMISSION: 6-SPEED SELECTSHIFT AUT... EQUIPMENT GROUP 202A, Aluminum Wheels. XLT trim, Ruby Red Metallic Tinted Clearcoat exterior and Ebony Black interior. CLICK NOW! KEY FEATURES INCLUDE Third Row Seat, 4x4, Rear Air, Back-Up Camera, Aluminum Wheels Rear Spoiler, Keyless Entry, Privacy Glass, Child Safety Locks, Steering Wheel Controls. OPTION PACKAGES EQUIPMENT GROUP 202A LED Fog Lamps, Power Liftgate, Power & Heated Glass Sideview Mirrors, manual-folding, LED turn signal indicators, security approach lamps and black molded in-color caps, BLIS (Blind Spot Information System), cross-traffic alert, Note: replaces standard integrated blind spot mirrors feature, Driver Connect Package, Auto-Dimming Rearview Mirror, FordPass Connect 4G Wi-Fi Modem, 4G LTE Wi-Fi hotspot connects up to 10 devices (includes a complimentary trial subscription of 3 months or 3 gigabytes, whichever comes first, Wireless Service Plan required after trial subscription ends, Visit att.com/ford to start complimentary trial and sign up for a Wireless Service Plan), remotely start, lock and unlock vehicle (includes service for 1 year from the vehicle sale date as, TWIN PANEL MOONROOF, XLT TECHNOLOGY FEATURE BUNDLE Universal Garage Door Opener (UGDO), Voice-Activated Touchscreen Navigation System, pinch-to-zoom capability, SiriusXM Traffic and Travel Link, Note: SiriusXM Traffic and Travel Link includes a 5-year prepaid subscription, Service not available in Alaska or Hawaii, SiriusXM audio and data services each require a subscription sold separately, or as a package, by Sirius XM Radio Inc, If you decide to continue service after your trial Tax DMV Fees & $597 processing fee are not included in vehicle prices shown and must be paid by the purchaser. Vehicle information is based off standard equipment and may vary from vehicle to vehicle. Call or email for complete vehicle specific informatio Chevrolet Ford Chrysler Dodge Jeep & Ram prices include current factory rebates and incentives some of which may require financing through the manufacturer and/or the customer must own/trade a certain make of vehicle. Residency restrictions apply see dealer for details and restrictions. All pricing and details are believed to be accurate but we do not warrant or guarantee such accuracy. The prices shown above may vary from region to region as will incentives and are subject to change. 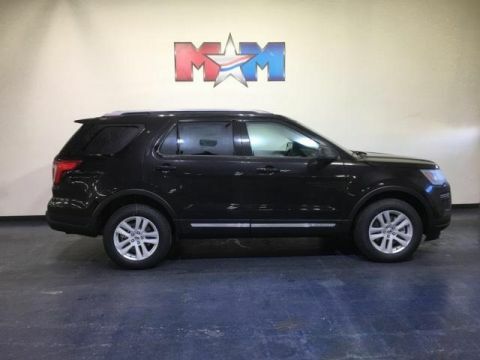 Nav System, Heated Seats, Moonroof, Third Row Seat, TRANSMISSION: 6-SPEED SELECTSHIFT AUT... Back-Up Camera, EQUIPMENT GROUP 201A, Rear Air. XLT trim, Ingot Silver Metallic exterior and Ebony Black w/Fire Orange interior. SEE MORE! KEY FEATURES INCLUDE Third Row Seat, 4x4, Rear Air, Back-Up Camera. Rear Spoiler, Privacy Glass, Keyless Entry, Child Safety Locks, Steering Wheel Controls. OPTION PACKAGES EQUIPMENT GROUP 201A 8-Way Power Passenger Seat, power lumbar and manual recline, LED Fog Lamps, Power Liftgate, Power & Heated Glass Sideview Mirrors, manual-folding, LED turn signal indicators, security approach lamps and black molded in-color caps, BLIS (Blind Spot Information System), cross-traffic alert, Note: replaces standard integrated blind spot mirrors feature, Driver Connect Package, Auto-Dimming Rearview Mirror, FordPass Connect, 4G LTE Wi-Fi hotspot connects up to 10 devices (includes a complimentary trial subscription of 3 months or 3 gigabytes, whichever comes first, Wireless Service Plan required after trial subscription ends, Visit att.com/ford to start complimentary trial and sign up for a Wireless Service Plan), remotely start, lock and unlock vehicle (includes service, TWIN PANEL MOONROOF, WHEELS: 20 POLISHED ALUMINUM Tires: P255/50R20 AS BSW, XLT TECHNOLOGY FEATURE BUNDLE Universal Garage Door Opener (UGDO), Voice-Activated Touchscreen Navigation System, pinch-to-zoom capability, SiriusXM Traffic and Travel Link, Note: SiriusXM Traffic and Travel Link includes a 5-year prepaid subscription, Service not available in Alaska or Hawaii, SiriusXM audio and data services each require a subscription sold separately, or as a package, by Sirius XM Radio Inc Tax DMV Fees & $597 processing fee are not included in vehicle prices shown and must be paid by the purchaser. Vehicle information is based off standard equipment and may vary from vehicle to vehicle. Call or email for complete vehicle specific informatio Chevrolet Ford Chrysler Dodge Jeep & Ram prices include current factory rebates and incentives some of which may require financing through the manufacturer and/or the customer must own/trade a certain make of vehicle. Residency restrictions apply see dealer for details and restrictions. All pricing and details are believed to be accurate but we do not warrant or guarantee such accuracy. The prices shown above may vary from region to region as will incentives and are subject to change. 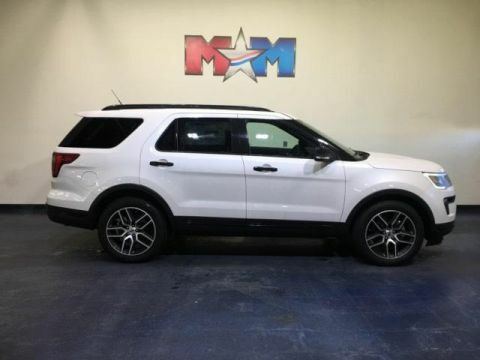 NAV, Heated Seats, Sunroof, 3rd Row Seat, WHEELS: 20 POLISHED ALUMINUM, XLT TECHNOLOGY FEATURE BUNDLE, TRANSMISSION: 6-SPEED SELECTSHIFT AUT... White Platinum Metallic Tri-Coat exterior and Ebony Black interior, XLT trim. CLICK ME! KEY FEATURES INCLUDE Third Row Seat, 4x4, Rear Air, Back-Up Camera. Rear Spoiler, Privacy Glass, Keyless Entry, Child Safety Locks, Steering Wheel Controls. OPTION PACKAGES EQUIPMENT GROUP 201A 8-Way Power Passenger Seat, power lumbar and manual recline, LED Fog Lamps, Power Liftgate, Power & Heated Glass Sideview Mirrors, manual-folding, LED turn signal indicators, security approach lamps and black molded in-color caps, BLIS (Blind Spot Information System), cross-traffic alert, Note: replaces standard integrated blind spot mirrors feature, Driver Connect Package, Auto-Dimming Rearview Mirror, FordPass Connect 4G Wi-Fi Modem, 4G LTE Wi-Fi hotspot connects up to 10 devices (includes a complimentary trial subscription of 3 months or 3 gigabytes, whichever comes first, Wireless Service Plan required after trial subscription ends, Visit att.com/ford to start complimentary trial and sign up for a Wireless Service Plan), remotely start, lock and unlock vehicle, TWIN PANEL MOONROOF, WHEELS: 20 POLISHED ALUMINUM Tires: P255/50R20 AS BSW, XLT TECHNOLOGY FEATURE BUNDLE Universal Garage Door Opener (UGDO), Voice-Activated Touchscreen Navigation System, pinch-to-zoom capability, SiriusXM Traffic and Travel Link, Note: SiriusXM Traffic and Travel Link includes a 5-year prepaid subscription, Service not available in Alaska or Hawaii, SiriusXM audio and data services each require a subscription sold separately, or as a package, by Sirius XM Radio Inc Tax DMV Fees & $597 processing fee are not included in vehicle prices shown and must be paid by the purchaser. Vehicle information is based off standard equipment and may vary from vehicle to vehicle. Call or email for complete vehicle specific informatio Chevrolet Ford Chrysler Dodge Jeep & Ram prices include current factory rebates and incentives some of which may require financing through the manufacturer and/or the customer must own/trade a certain make of vehicle. Residency restrictions apply see dealer for details and restrictions. All pricing and details are believed to be accurate but we do not warrant or guarantee such accuracy. The prices shown above may vary from region to region as will incentives and are subject to change. 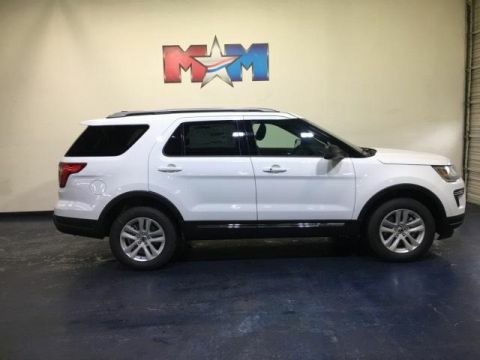 Nav System, Moonroof, Third Row Seat, Rear Air, 4x4, EQUIPMENT GROUP 201A, Back-Up Camera, Hitch, ENGINE: 3.5L TI-VCT V6 (FFV), WHEELS: 20 POLISHED ALUMINUM. XLT trim, Oxford White exterior and Ebony Black interior. CLICK ME! KEY FEATURES INCLUDE Third Row Seat, 4x4, Rear Air, Back-Up Camera. Rear Spoiler, Privacy Glass, Keyless Entry, Child Safety Locks, Steering Wheel Controls. OPTION PACKAGES EQUIPMENT GROUP 201A 8-Way Power Passenger Seat, power lumbar and manual recline, LED Fog Lamps, Power Liftgate, Power & Heated Glass Sideview Mirrors, manual-folding, LED turn signal indicators, security approach lamps and black molded in-color caps, BLIS (Blind Spot Information System), cross-traffic alert, Note: replaces standard integrated blind spot mirrors feature, Driver Connect Package, Auto-Dimming Rearview Mirror, FordPass Connect, 4G LTE Wi-Fi hotspot connects up to 10 devices (includes a complimentary trial subscription of 3 months or 3 gigabytes, whichever comes first, Wireless Service Plan required after trial subscription ends, Visit att.com/ford to start complimentary trial and sign up for a Wireless Service Plan), remotely start, lock and unlock vehicle (includes service, TWIN PANEL MOONROOF, WHEELS: 20 POLISHED ALUMINUM Tires: P255/50R20 AS BSW, XLT TECHNOLOGY FEATURE BUNDLE Universal Garage Door Opener (UGDO), Voice-Activated Touchscreen Navigation System, pinch-to-zoom capability, SiriusXM Traffic and Travel Link, Note: SiriusXM Traffic and Travel Link includes a 5-year prepaid subscription, Service not available in Alaska or Hawaii, SiriusXM audio and data services each require a subscription sold separately, or as a package, by Sirius XM Radio Inc Tax DMV Fees & $597 processing fee are not included in vehicle prices shown and must be paid by the purchaser. Vehicle information is based off standard equipment and may vary from vehicle to vehicle. Call or email for complete vehicle specific informatio Chevrolet Ford Chrysler Dodge Jeep & Ram prices include current factory rebates and incentives some of which may require financing through the manufacturer and/or the customer must own/trade a certain make of vehicle. Residency restrictions apply see dealer for details and restrictions. All pricing and details are believed to be accurate but we do not warrant or guarantee such accuracy. The prices shown above may vary from region to region as will incentives and are subject to change. 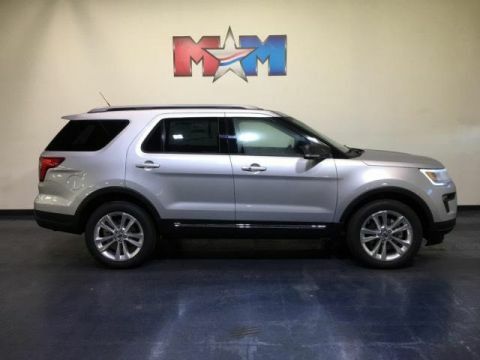 Moonroof, Navigation, Third Row Seat, Trailer Hitch, Back-Up Camera, Rear Air, 4x4, WHEELS: 20 POLISHED ALUMINUM, XLT TECHNOLOGY FEATURE BUNDLE. XLT trim, Ingot Silver Metallic exterior and Medium Stone/Med Lt Stone interior. READ MORE! KEY FEATURES INCLUDE Third Row Seat, 4x4, Rear Air, Back-Up Camera. Rear Spoiler, Privacy Glass, Keyless Entry, Child Safety Locks, Steering Wheel Controls. OPTION PACKAGES EQUIPMENT GROUP 202A LED Fog Lamps, Power Liftgate, Power & Heated Glass Sideview Mirrors, manual-folding, LED turn signal indicators, security approach lamps and black molded in-color caps, BLIS (Blind Spot Information System), cross-traffic alert, Note: replaces standard integrated blind spot mirrors feature, Driver Connect Package, Auto-Dimming Rearview Mirror, FordPass Connect, 4G LTE Wi-Fi hotspot connects up to 10 devices (includes a complimentary trial subscription of 3 months or 3 gigabytes, whichever comes first, Wireless Service Plan required after trial subscription ends, Visit att.com/ford to start complimentary trial and sign up for a Wireless Service Plan), remotely start, lock and unlock vehicle (includes service for 1 year from the vehicle sale date as recorded by the, TWIN PANEL MOONROOF, WHEELS: 20 POLISHED ALUMINUM Tires: P255/50R20 AS BSW, XLT TECHNOLOGY FEATURE BUNDLE Universal Garage Door Opener (UGDO), Voice-Activated Touchscreen Navigation System, pinch-to-zoom capability, SiriusXM Traffic and Travel Link, Note: SiriusXM Traffic and Travel Link includes a 5-year prepaid subscription, Service not available in Alaska or Hawaii, SiriusXM audio and data services each require a subscription sold separately, or as a package, by Sirius XM Radio Inc Tax DMV Fees & $597 processing fee are not included in vehicle prices shown and must be paid by the purchaser. Vehicle information is based off standard equipment and may vary from vehicle to vehicle. Call or email for complete vehicle specific informatio Chevrolet Ford Chrysler Dodge Jeep & Ram prices include current factory rebates and incentives some of which may require financing through the manufacturer and/or the customer must own/trade a certain make of vehicle. Residency restrictions apply see dealer for details and restrictions. All pricing and details are believed to be accurate but we do not warrant or guarantee such accuracy. The prices shown above may vary from region to region as will incentives and are subject to change. 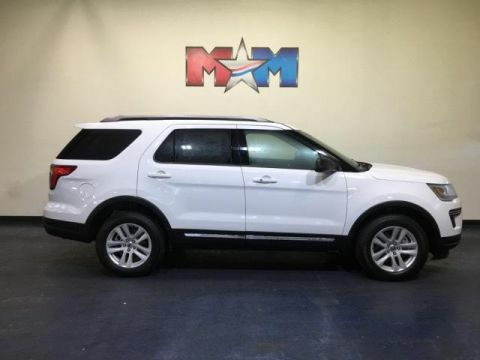 Nav System, Moonroof, Third Row Seat, Quad Bucket Seats, Aluminum Wheels, 4x4, Turbo Charged Engine, Hitch, XLT TECHNOLOGY FEATURE BUNDLE, ENGINE: 2.3L I-4 ECOBOOST. Magnetic Metallic exterior and Ebony Black interior, XLT trim. SEE MORE! KEY FEATURES INCLUDE Third Row Seat, 4x4, Rear Air, Back-Up Camera, Aluminum Wheels. Rear Spoiler, Privacy Glass, Keyless Entry, Child Safety Locks, Steering Wheel Controls. OPTION PACKAGES EQUIPMENT GROUP 202A LED Fog Lamps, Power Liftgate, Power & Heated Glass Sideview Mirrors, manual-folding, LED turn signal indicators, security approach lamps and black molded in-color caps, BLIS (Blind Spot Information System), cross-traffic alert, Note: replaces standard integrated blind spot mirrors feature, Driver Connect Package, Auto-Dimming Rearview Mirror, FordPass Connect, 4G LTE Wi-Fi hotspot connects up to 10 devices (includes a complimentary trial subscription of 3 months or 3 gigabytes, whichever comes first, Wireless Service Plan required after trial subscription ends, Visit att.com/ford to start complimentary trial and sign up for a Wireless Service Plan), remotely start, lock and unlock vehicle (includes service for 1 year from the vehicle sale date as recorded by the, TWIN PANEL MOONROOF, XLT TECHNOLOGY FEATURE BUNDLE Universal Garage Door Opener (UGDO), Voice-Activated Touchscreen Navigation System, pinch-to-zoom capability, SiriusXM Traffic and Travel Link, Note: SiriusXM Traffic and Travel Link includes a 5-year prepaid subscription, Service not available in Alaska or Hawaii, SiriusXM audio and data services each require a subscription sold separately, or as a package, by Sirius XM Radio Inc, If you decide to continue service after your trial Tax DMV Fees & $597 processing fee are not included in vehicle prices shown and must be paid by the purchaser. Vehicle information is based off standard equipment and may vary from vehicle to vehicle. Call or email for complete vehicle specific informatio Chevrolet Ford Chrysler Dodge Jeep & Ram prices include current factory rebates and incentives some of which may require financing through the manufacturer and/or the customer must own/trade a certain make of vehicle. Residency restrictions apply see dealer for details and restrictions. All pricing and details are believed to be accurate but we do not warrant or guarantee such accuracy. The prices shown above may vary from region to region as will incentives and are subject to change. Sunroof, Navigation, 3rd Row Seat, Leather Interior, 4x4, Captains Chairs, Trailer Hitch, 2ND ROW BUCKET SEATS, EQUIPMENT GROUP 202A. White Platinum Metallic Tri-Coat exterior and Ebony Black interior, XLT trim. READ MORE! KEY FEATURES INCLUDE Third Row Seat, 4x4, Rear Air, Back-Up Camera Rear Spoiler, Privacy Glass, Keyless Entry, Child Safety Locks, Steering Wheel Controls. OPTION PACKAGES EQUIPMENT GROUP 202A LED Fog Lamps, Power Liftgate, Power & Heated Glass Sideview Mirrors, manual-folding, LED turn signal indicators, security approach lamps and black molded in-color caps, BLIS (Blind Spot Information System), cross-traffic alert, Note: replaces standard integrated blind spot mirrors feature, Driver Connect Package, Auto-Dimming Rearview Mirror, FordPass Connect, 4G LTE Wi-Fi hotspot connects up to 10 devices (includes a complimentary trial subscription of 3 months or 3 gigabytes, whichever comes first, Wireless Service Plan required after trial subscription ends, Visit att.com/ford to start complimentary trial and sign up for a Wireless Service Plan), remotely start, lock and unlock vehicle (includes service for 1 year from the vehicle sale date as recorded by the, TWIN PANEL MOONROOF, XLT SPORT APPEARANCE PACKAGE liftgate applique, Sideview Mirror Caps, EXPLORER Badge on Hood, Ebony Black Unique Door-Trim Panel Insert, Fire Orange contrasting stitching, Rear Bumper Step Pad Molded in color black w/magnetic-painted surround and skid plate elements, front and rear, molded-in-color black, Lower Front & Rear Bumper Covers, Lower Door Trim, Lower Bodyside Cladding Insert, EXPLORER Unique Branded Front Floor Mats, Wheels: 20 x 8.5 Magnetic Met Painted 10-Spoke, Tires: P255/50R20 AS BSW Tax DMV Fees & $597 processing fee are not included in vehicle prices shown and must be paid by the purchaser. Vehicle information is based off standard equipment and may vary from vehicle to vehicle. Call or email for complete vehicle specific informatio Chevrolet Ford Chrysler Dodge Jeep & Ram prices include current factory rebates and incentives some of which may require financing through the manufacturer and/or the customer must own/trade a certain make of vehicle. Residency restrictions apply see dealer for details and restrictions. All pricing and details are believed to be accurate but we do not warrant or guarantee such accuracy. The prices shown above may vary from region to region as will incentives and are subject to change. 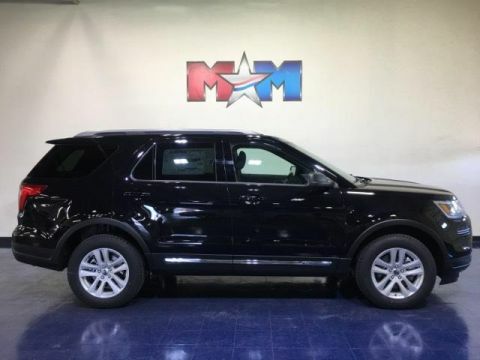 Third Row Seat, Nav System, Moonroof, Heated Leather Seats, Hitch, FRONT & SECOND ROW FLOOR LINERS, 4x4, Turbo Charged Engine, EQUIPMENT GROUP 300A, WHEELS: 20 POLISHED ALUMINUM. EPA 25 MPG Hwy/18 MPG City! Limited trim READ MORE! KEY FEATURES INCLUDE Third Row Seat, Navigation, 4x4, Power Liftgate, Rear Air, Heated Rear Seat, Back-Up Camera, Turbocharged, Premium Sound System, iPod/MP3 Input, Onboard Communications System, Remote Engine Start, Dual Zone A/C, Cross-Traffic Alert, WiFi Hotspot Rear Spoiler, MP3 Player, Satellite Radio, Remote Trunk Release, Privacy Glass. OPTION PACKAGES TWIN PANEL MOONROOF, WHEELS: 20 POLISHED ALUMINUM, CLASS III TRAILER TOW PACKAGE, FRONT & SECOND ROW FLOOR LINERS, EBONY BLACK, PERFORATED LEATHER HEATED/COOLED BUCKET SEATS 10-way power driver's seat w/power lumbar and recline, memory driver's seat, 10-way power front passenger seat w/power lumbar and manual recline and 4-way manually adjustable driver and front passenger head restraints (2-way up/down when dual-headrest entertainment system (50S) is ordered), MAGNETIC METALLIC, ENGINE: 3.5L TI-VCT V6, TRANSMISSION: 6-SPEED SELECTSHIFT AUTOMATIC (44C), EQUIPMENT GROUP 300A. Ford Limited with Magnetic Metallic exterior and Ebony Black interior features a V6 Cylinder Engine with 280 HP at 5600 RPM*. EXPERTS RAVE Great Gas Mileage: 25 MPG Hwy. Approx. Original Base Sticker Price: $48,900*. WHY BUY FROM US At Shelor Motor Mile we have a price and payment to fit any budget. Our big selection means even bigger savings! Need extra spending money? Shelor wants your vehicle, and we're paying top dollar! Tax DMV Fees & $597 processing fee are not included in vehicle prices shown and must be paid by the purchaser. Vehicle information is based off standard equipment and may vary from vehicle to vehicle. Call or email for complete vehicle specific informatio Chevrolet Ford Chrysler Dodge Jeep & Ram prices include current factory rebates and incentives some of which may require financing through the manufacturer and/or the customer must own/trade a certain make of vehicle. Residency restrictions apply see dealer for details and restrictions. All pricing and details are believed to be accurate but we do not warrant or guarantee such accuracy. The prices shown above may vary from region to region as will incentives and are subject to change. 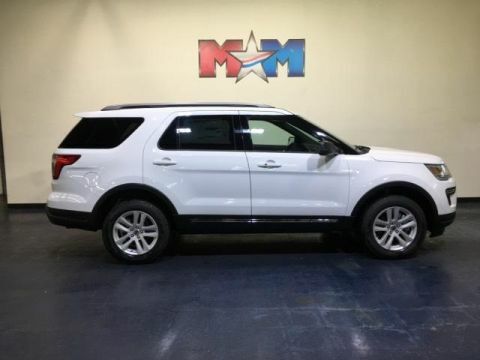 Third Row Seat, Nav System, Heated Leather Seats, Moonroof, Quad Bucket Seats, Hitch, Turbo Charged Engine, 4x4. FUEL EFFICIENT 25 MPG Hwy/18 MPG City! Blue Metallic exterior and Ebony Black interior, Limited trim. READ MORE! KEY FEATURES INCLUDE Third Row Seat, Navigation, 4x4, Power Liftgate, Rear Air, Heated Rear Seat, Back-Up Camera, Turbocharged, Premium Sound System, iPod/MP3 Input, Onboard Communications System, Remote Engine Start, Dual Zone A/C, Cross-Traffic Alert, Blind Spot Monitor Rear Spoiler, MP3 Player, Satellite Radio, Remote Trunk Release, Keyless Entry. OPTION PACKAGES TWIN PANEL MOONROOF, 2ND ROW BUCKET SEATS W/POWER-ASSIST FOLD, WHEELS: 20 POLISHED ALUMINUM, CLASS III TRAILER TOW PACKAGE, EBONY BLACK, PERFORATED LEATHER HEATED/COOLED BUCKET SEATS 10-way power driver's seat w/power lumbar and recline, memory driver's seat, 10-way power front passenger seat w/power lumbar and manual recline and 4-way manually adjustable driver and front passenger head restraints (2-way up/down when dual-headrest entertainment system (50S) is ordered), BLUE METALLIC, ENGINE: 3.5L TI-VCT V6, TRANSMISSION: 6-SPEED SELECTSHIFT AUTOMATIC (44C), EQUIPMENT GROUP 300A. Ford Limited with Blue Metallic exterior and Ebony Black interior features a V6 Cylinder Engine with 280 HP at 5600 RPM*. VEHICLE REVIEWS Great Gas Mileage: 25 MPG Hwy. Approx. Original Base Sticker Price: $49,500*. VISIT US TODAY At Shelor Motor Mile we have a price and payment to fit any budget. Our big selection means even bigger savings! Need extra spending money? Shelor wants your vehicle, and we're paying top dollar! Tax DMV Fees & $597 processing fee are not included in vehicle prices shown and must be paid by the purchaser. Vehicle information is based off standard equipment and may vary from vehicle to vehicle. Call or email for complete vehicle specific informatio Chevrolet Ford Chrysler Dodge Jeep & Ram prices include current factory rebates and incentives some of which may require financing through the manufacturer and/or the customer must own/trade a certain make of vehicle. Residency restrictions apply see dealer for details and restrictions. All pricing and details are believed to be accurate but we do not warrant or guarantee such accuracy. The prices shown above may vary from region to region as will incentives and are subject to change. 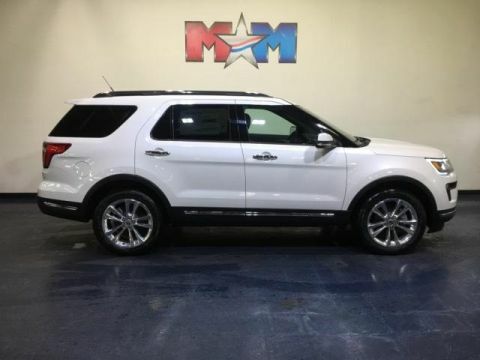 Third Row Seat, Moonroof, Heated Leather Seats, Navigation, 4x4, TRANSMISSION: 6-SPEED SELECTSHIFT AUT... White Platinum Metallic Tri-Coat exterior and Ebony Black interior, Limited trim. FUEL EFFICIENT 25 MPG Hwy/18 MPG City! SEE MORE! KEY FEATURES INCLUDE Third Row Seat, Navigation, 4x4, Power Liftgate, Rear Air, Heated Rear Seat, Back-Up Camera, Turbocharged, Premium Sound System, iPod/MP3 Input, Onboard Communications System, Remote Engine Start, Dual Zone A/C, Cross-Traffic Alert, Blind Spot Monitor. Rear Spoiler, MP3 Player, Satellite Radio, Remote Trunk Release, Keyless Entry. OPTION PACKAGES TWIN PANEL MOONROOF, FORD SAFE & SMART PACKAGE Adaptive Cruise Control & Fwd Collision Warning, brake support, Lane-Keeping System, lane-keeping assist, lane-keeping alert and driver alert, Rain-Sensing Wipers (Front Only), Auto High-Beam Headlights, 2ND ROW BUCKET SEATS W/POWER-ASSIST FOLD, WHEELS: 20 POLISHED ALUMINUM, WHITE PLATINUM METALLIC TRI-COAT, CLASS III TRAILER TOW PACKAGE, FRONT & SECOND ROW FLOOR LINERS, EBONY BLACK, PERFORATED LEATHER HEATED/COOLED BUCKET SEATS 10-way power driver's seat w/power lumbar and recline, memory driver's seat, 10-way power front passenger seat w/power lumbar and manual recline and 4-way manually adjustable driver and front passenger head restraints (2-way up/down when dual-headrest entertainment system (50S) is ordered), TRANSMISSION: 6-SPEED SELECTSHIFT AUTOMATIC (44C), EQUIPMENT GROUP 300A, ENGINE: 3.5L TI-VCT V6. Approx. Original Base Sticker Price: $51,200*. VISIT US TODAY At Shelor Motor Mile we have a price and payment to fit any budget. Our big selection means even bigger savings! Need extra spending money? Shelor wants your vehicle, and we're paying top dollar! Tax DMV Fees & $597 processing fee are not included in vehicle prices shown and must be paid by the purchaser. Vehicle information is based off standard equipment and may vary from vehicle to vehicle. Call or email for complete vehicle specific informatio Chevrolet Ford Chrysler Dodge Jeep & Ram prices include current factory rebates and incentives some of which may require financing through the manufacturer and/or the customer must own/trade a certain make of vehicle. Residency restrictions apply see dealer for details and restrictions. All pricing and details are believed to be accurate but we do not warrant or guarantee such accuracy. The prices shown above may vary from region to region as will incentives and are subject to change. 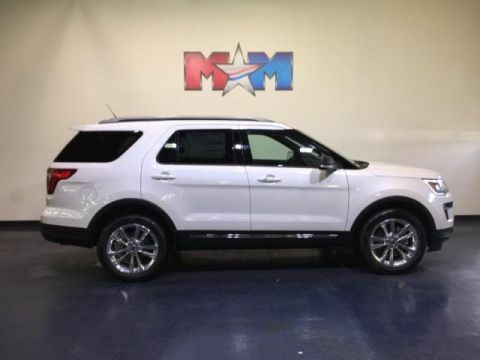 Nav System, Heated Leather Seats, Moonroof, Third Row Seat, 4x4, Turbo Charged Engine, Quad Bucket Seats, EQUIPMENT GROUP 401A. Sport trim, White Platinum Metallic Tri-Coat exterior and Ebony Black w/Red Accent interior. CLICK NOW! KEY FEATURES INCLUDE Third Row Seat, Navigation, 4x4, Power Liftgate, Rear Air, Back-Up Camera, iPod/MP3 Input, Onboard Communications System, Trailer Hitch, Aluminum Wheels, Remote Engine Start, Dual Zone A/C, Blind Spot Monitor, Hands-Free Liftgate, Cross-Traffic Alert. Rear Spoiler, Keyless Entry, Remote Trunk Release, Privacy Glass, Child Safety Locks. OPTION PACKAGES EQUIPMENT GROUP 401A Remote Control Front Windows Vents moonroof, when equipped, Universal Garage Door Opener (UGDO), Front 180 Degree Camera w/Split View & Washer, Power & Heated Glass Sideview Mirrors, power-folding w/Autofold, LED turn signal indicators, security approach lamps and driver side auto-dimming, Inflatable Rear Safety Belts, second row outboard seating positions, Ambient Lighting, Power Tilt/Telescoping Steering Wheel, Dual 2nd Row Smart Charging USB, Memory Feature, driver seat, pedals and sideview mirrors memory, 2nd Row Heated Seats, Radio: Premium Sound from Sony 500-watt, AM/FM, Clear Phase and Live Acoustics, 110V/150W AC Power Outlet Replaces the powerpoint port on the rear side of the center floor console, TWIN PANEL MOONROOF, FORD SAFE & SMART PACKAGE Adaptive Cruise Control & Fwd Collision Warning, brake support, Lane-Keeping System, lane-keeping assist, lane-keeping alert and driver alert, Rain-Sensing Wipers (Front Only), Auto High-Beam Headlights, 2ND ROW BUCKET SEATS W/POWER-ASSIST FOLD, WHITE PLATINUM METALLIC TRI-COAT, INFLATABLE REAR SAFETY BELTS second row outboard seating positions Tax DMV Fees & $597 processing fee are not included in vehicle prices shown and must be paid by the purchaser. Vehicle information is based off standard equipment and may vary from vehicle to vehicle. Call or email for complete vehicle specific informatio Chevrolet Ford Chrysler Dodge Jeep & Ram prices include current factory rebates and incentives some of which may require financing through the manufacturer and/or the customer must own/trade a certain make of vehicle. Residency restrictions apply see dealer for details and restrictions. All pricing and details are believed to be accurate but we do not warrant or guarantee such accuracy. The prices shown above may vary from region to region as will incentives and are subject to change. 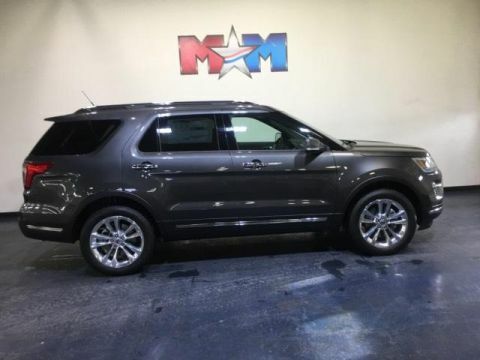 NAV, Heated Leather Seats, 3rd Row Seat, Sunroof, 4x4, Quad Seats, Turbo, TRANSMISSION: 6-SPEED SELECTSHIFT AUT... EQUIPMENT GROUP 401A, Tow Hitch. Sport trim, Magnetic Metallic exterior and Ebony Black w/Red Accent interior. READ MORE! KEY FEATURES INCLUDE Third Row Seat, Navigation, 4x4, Power Liftgate, Rear Air, Back-Up Camera, iPod/MP3 Input, Onboard Communications System, Trailer Hitch, Remote Engine Start, Dual Zone A/C, Blind Spot Monitor, Smart Device Integration, Hands-Free Liftgate, WiFi Hotspot Rear Spoiler, Privacy Glass, Remote Trunk Release, Keyless Entry, Child Safety Locks. OPTION PACKAGES EQUIPMENT GROUP 401A Remote Control Front Windows Vents moonroof, when equipped, Universal Garage Door Opener (UGDO), Front 180 Degree Camera w/Split View & Washer, Power & Heated Glass Sideview Mirrors, power-folding w/Autofold, LED turn signal indicators, security approach lamps and driver side auto-dimming, Inflatable Rear Safety Belts, second row outboard seating positions, Ambient Lighting, Power Tilt/Telescoping Steering Wheel, Dual 2nd Row Smart Charging USB, Memory Feature, driver seat, pedals and sideview mirrors memory, 2nd Row Heated Seats, Radio: Premium Sound from Sony 500-watt, AM/FM, Clear Phase and Live Acoustics, 110V/150W AC Power Outlet Replaces the powerpoint port on the rear side of the center floor console, TWIN PANEL MOONROOF, FORD SAFE & SMART PACKAGE Adaptive Cruise Control & Fwd Collision Warning, brake support, Lane-Keeping System, lane-keeping assist, lane-keeping alert and driver alert, Rain-Sensing Wipers (Front Only), Auto High-Beam Headlights, 2ND ROW BUCKET SEATS W/POWER-ASSIST FOLD, WHEELS: 20 BLACK-PAINTED ALUMINUM Approx. Original Base Sticker Price: $54,600*. Tax DMV Fees & $597 processing fee are not included in vehicle prices shown and must be paid by the purchaser. Vehicle information is based off standard equipment and may vary from vehicle to vehicle. Call or email for complete vehicle specific informatio Chevrolet Ford Chrysler Dodge Jeep & Ram prices include current factory rebates and incentives some of which may require financing through the manufacturer and/or the customer must own/trade a certain make of vehicle. Residency restrictions apply see dealer for details and restrictions. All pricing and details are believed to be accurate but we do not warrant or guarantee such accuracy. The prices shown above may vary from region to region as will incentives and are subject to change.